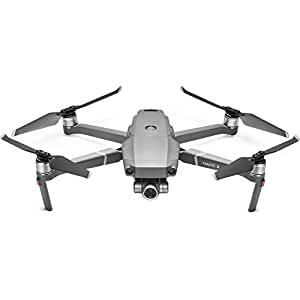 The Mavic 2 Zoom from DJI is a professional quality filmmaking drone that gives you the ability to get closer to the action, thanks to its 2x 24-48mm optical zoom camera with a 1/2.3″ 12MP sensor. With 4x lossless zoom (including 2x optical zoom) you can capture sensitive subjects from an even greater distance. There’s even a single-tap aerial mode called Dolly Zoom that gives a Hitchcockian effect to your footage.